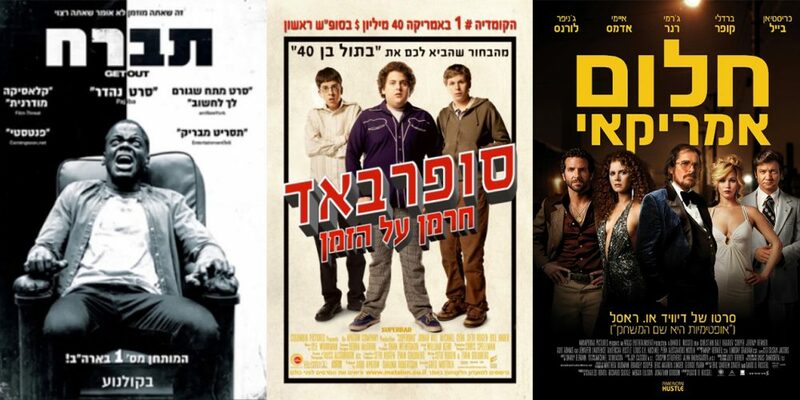 QUIZ: What are these American movies called in Hebrew? It’s awards season, and everyone is talking about movies! Speaking of movies, we recently learned that American movies in Israel are most commonly played in English, but with Hebrew subtitles. That said, the movies will always receive a Hebrew title. Usually that title is an exact or phonetic translation. But every now and then, the title will be changed to something completely different. Why? Sometimes a title an English may be an expression that just doesn’t translate well to foreign markets. Sometimes they want to make a title more culturally significant to attract more viewers. And sometimes, there really is no good reason. We’ve found 15 different American movies from the past 30 years that have an unusual Hebrew title. Take a guess which are the correct ones, and maybe you’ll be worthy of an Oscar for Best Movie Title Translator.